ESL Made Easy: February Topic: Chocolate! Did you know that Hershey Chocolate was founded on February 8th in 1894? Since it is February, what better time to get your ESL students talking about the history of chocolate and all its products and recipes! Not only is chocolate considered to be a popular (and some saying healthy!) treat around the world, but also a popular and romantic gift for Valentine's Day too. 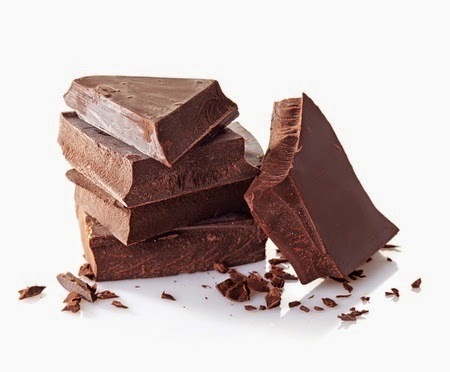 Here's a great article with video on the health benefits of chocolate that you can share with your ESL students. 1. Is chocolate considered to be a treat for you? If so, what is your favorite chocolate goodie (candy bar, chocolate milk, cookies..etc) and how often do you have it? 2. Is chocolate popular in your home country? What are some popular chocolate treats? 3. Recent reports suggest that chocolate can actually be good for you (see health benefits of chocolate ). Do you think this could change the minds of those who see chocolate as a guilty pleasure? What about for those who see chocolate as nothing more than a cause of cavities and weight gain? 4. What are some holidays/special events around the world that involve chocolate? 5. In what ways has the production, marketing and consumption of chocolate changed over the years?